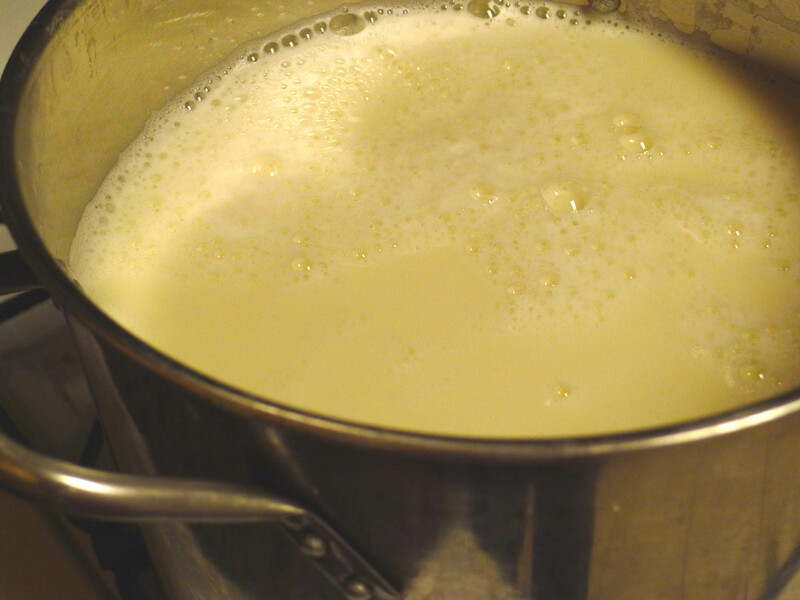 I remember watching my aunt making soy milk when I was kid. My aunt had a corner store and she made some of the drinks & fruit pickles. 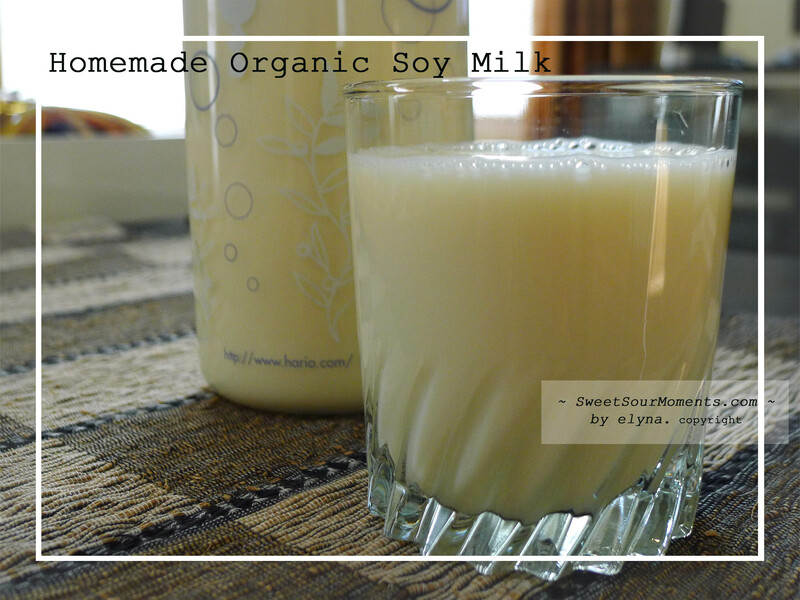 The soy milk she made was very tasty as she didn’t mix too much water in it, thus we could really enjoy the flavor. It is also healthier than others because she used pure sugar, not artificial sweetening. My family lived in different city and we visited probably once a year during school break. For me the times visiting my aunt ( and the whole family ) were the best times in my childhood. Met the cousins, no homework, played all day, woke up late, went to theme park … you know, just so much fun, beside the soy milk and fruit pickles my aunt had. * 1 cup dried soybean yields to +/- 8 cups of milk. 1. Soak 1 cup of soybean in water until triple in size, about 6 – 8 hours, rinse off the water. 2. 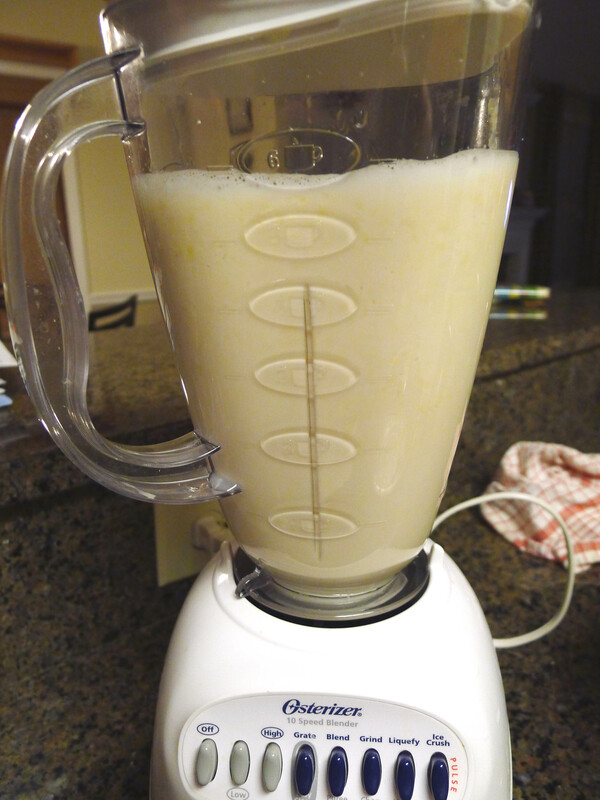 Using food processor liquefy the bean , the ratio is 2 cups of water for each cup of soaked soybean. 3. 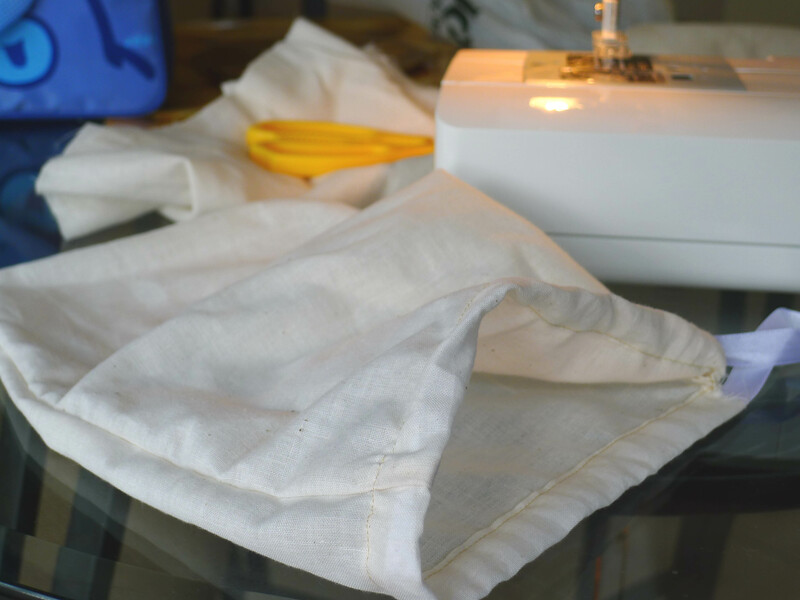 Pour the liquid into the fabric filtering bag and squeeze the milk out, add 1.5 cups of water to get more soy milk in second filtration. 4. Continue for the rest of soaked soybean. 5. Add 2 pandan leaves ( optional ) and cook until boiling. 6. Sugar can be added at anytime depends on how you’d like it. How interesting! You say you do two filtrations. Is it possible to do more or do you start getting bad flavors if you push it too far? the more filtration you do, the less concentrated the milk and less flavor & nutrition 🙂 that is what food company does, add artificial stuff to make it tasty. This is so cool. 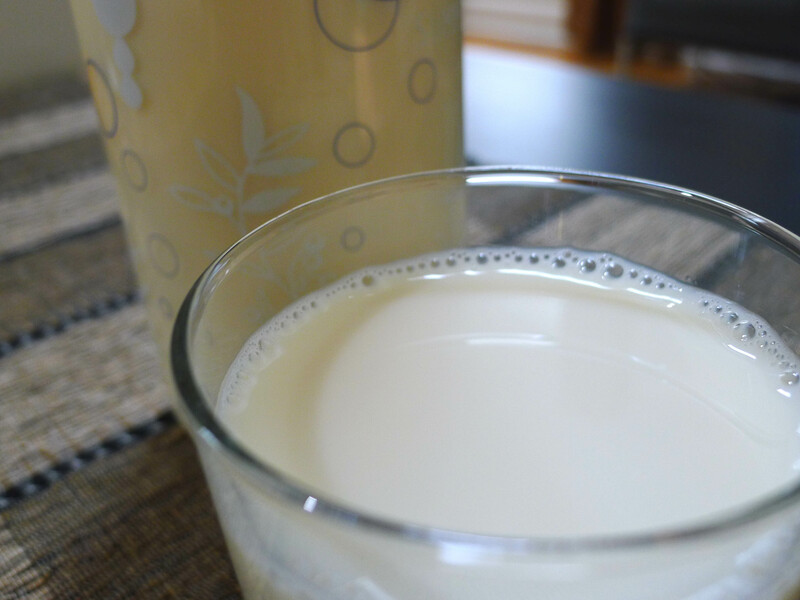 I love soy milk. I didn’t know making soy milk was so easy! If I wanted to add a vanilla flavor, when would be the moment to do so? Thanx for sharing!! I never added other flavor as I like to keep it as original as possible, I guess you can add while cooking ?? Waahh… Elyna, it brings back memories. I think all Indonesian family made a homemade version of this drink, I know my family did and I intend on doing it too with my children in the future. Totally agree with the filtering bag. I once pushed it too hard and my bag went BOOM! and the soy milk splattered all over the kitchen. lol … yes I can imagine that ..
That’s so cool! I don’t eat a lot of animal products, I’m definitely going to try this! Di toko ketemunya kain pastry, kaku and kurang halus pori2 nya, coba aja dicari … Nasib sesama perantauan yah 🙂 thanks for coming Min. I love this post! I have been trying to get away from processed foods and do more at home. 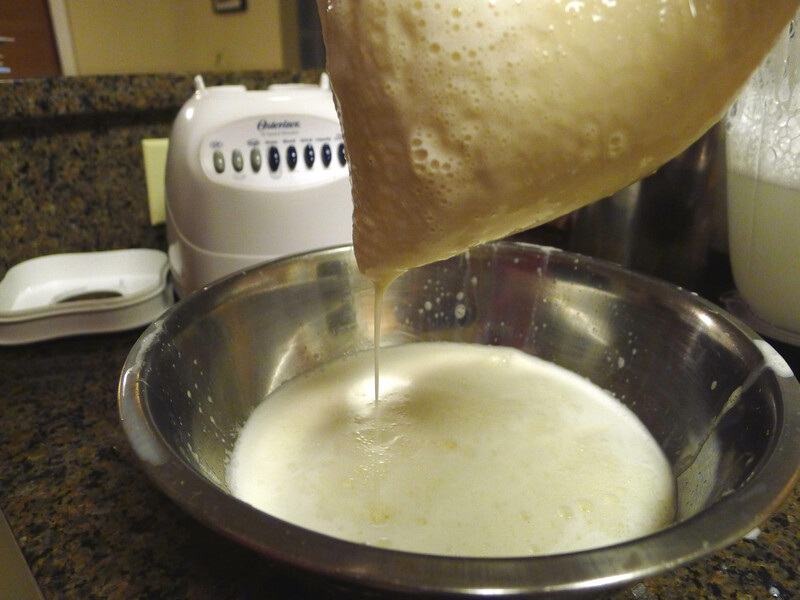 This is a great find, and I am excited to see that it would be relatively easy to make at home. Cool.